What’s a boat neck? What’s an A-line skirt? Why would a wedding dress have a train on it? If the answer to these questions is “I don’t know”, then don’t worry. You’re not alone. 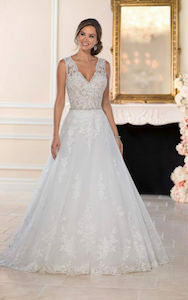 Understanding the various wedding dress styles can be extremely confusing for those who might just be starting their dress shopping. All the multiple styles and variations can definitely give you a headache, which is why we’ve put together a helpful guide for those about to take the plunge into wedding dress shopping. Let’s start with the neckline. There are a dozen or so different styles. Some of them are different, some of them are more similar. The neckline refers to the area from the chest up to your neck. This can describe how the dress sits around your neck and shoulder areas. Next is the midsection of the dress. 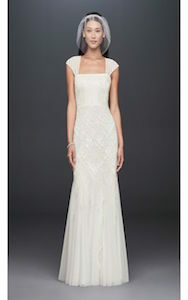 The bodice refers to the section above the waistline, and it goes from the waistline all the way to the neckline. 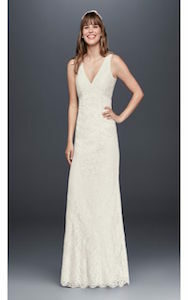 Some people may call the neckline the bodice. We choose to separate the two. 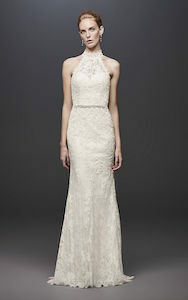 The various styles of the neckline can also be used to describe the bodice. The bodice may be the same material and pattern as the rest of the dress, but you may also see completely different patterns and fabrics. After the bodice, we head down to the waistline. 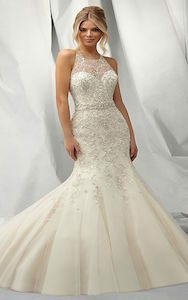 There are a handful of styles for this area, which is usually a focal point of the dress as it contours the body and gives it shape. This is one of the very important wedding dress styles that you need to know. 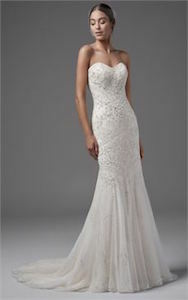 The silhouette is generally fitted at the bodice and flows downwards, creating the shape of the dress that you see. Train: The part of the skirt that extends and sprawls onto the floor. There are various lengths. Guipure: A heavy, large lace pattern. Chiffon: A delicate and transparent fabric that is often layered. 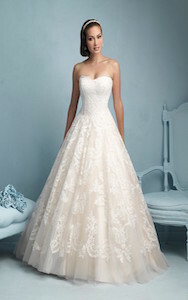 As you can see, there are many combinations that you can choose from when it comes to wedding dress styles. It can be easy to get overwhelmed and confused when researching dresses or shopping, but hopefully, this guide has given you a better idea about what to expect when you start the process. 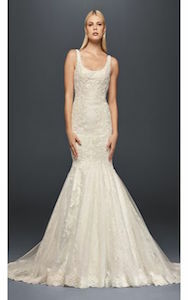 In addition to so many styles, there is a lot of wedding dress shopping tips that can help you in the buying process. Good luck, and have fun!